Size of this PNG preview of this SVG file: 579 × 525 pixels. Other resolution: 265 × 240 pixels. 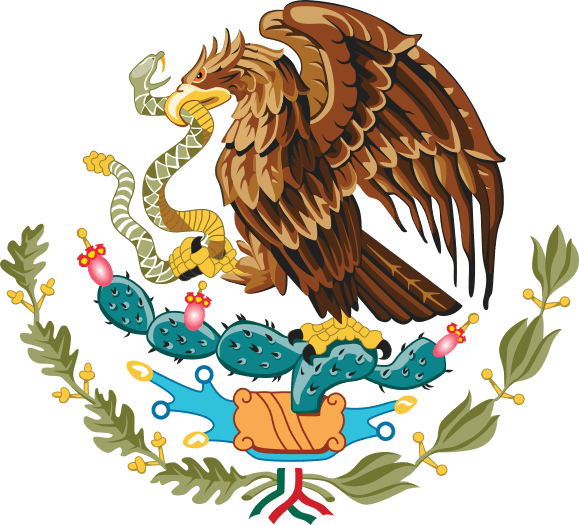 Description: Coat of arms of Mexico. Credit: Vectorised from File:Mexico coat of arms.png by Alex Covarrubias. Author: Vectorisation by Alex Covarrubias. Based on the arms by: Juan Gabino. There are no pages that link to this image. This page was last modified on 9 March 2019, at 03:20.